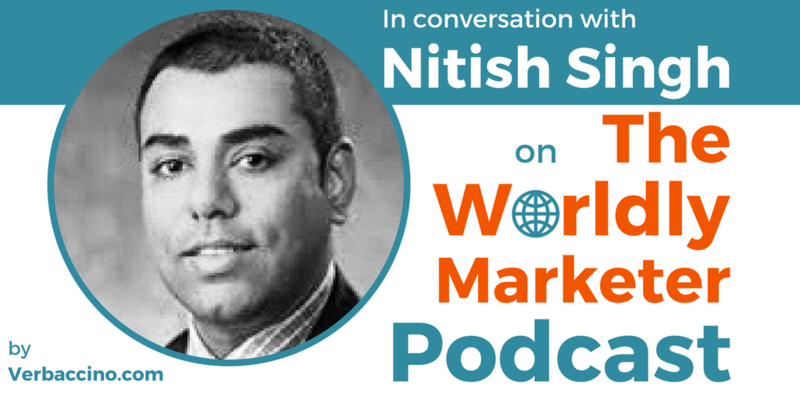 Dr. Nitish Singh is a leading global digital marketing and localization expert, who was previously featured on episode #088. He is a Professor at the Boeing Institute of International Business at St. Louis University, Missouri, and he has been teaching there for over a decade now. He is also the President of Integtree LLC, which is an ethics and compliance consulting firm. Nitish holds a Ph.D. in International Business and Marketing, and his primary research focuses on cross-cultural consumer marketing, global e-business, and sustainability. He is the co-author of two critically-acclaimed books: The Culturally Customized Web Site: Customizing Websites for the Global Marketplace and Localization Strategies for Global e-Business. In addition to his responsibilities as a professor and business owner, Nitish is a close collaborator with The Localization Institute. Since 2013, he has helped organize the Institute’s Brand2Global conference series, and he has contributed significantly to the development of its online certification programs. Most recently, Nitish developed and launched the Global Branding and Marketing Certification program*, which is now open for enrolment on the Brand2Global website. *Use our exclusive promo code PODCAST200 to get a $200 discount off the regular price of the program!